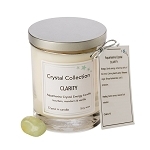 Combining crystal with candles helps release & enhance the stone's energy. 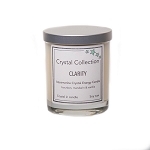 Enjoy the relaxing aromatics while surrounding yourself with the warmth of the crystal's energy. 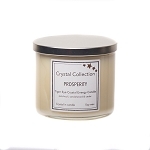 Our Crystal Candles are made with extra large stones placed strategically at the top of the candle. Crystal will remain visible when candle is lit. 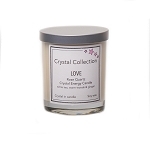 Allow Crystal to slowly heat with wax to ensure an even wax pool. 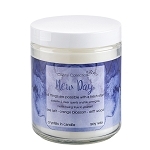 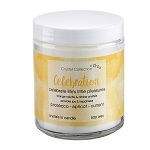 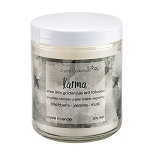 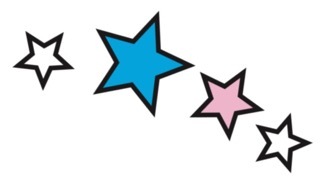 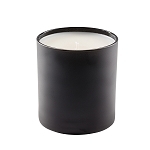 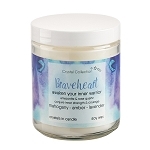 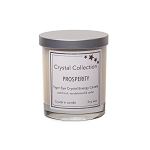 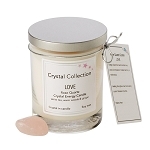 Retail stores are very excited about the Crystal Collection Candles as a unique alternative to traditional candles.